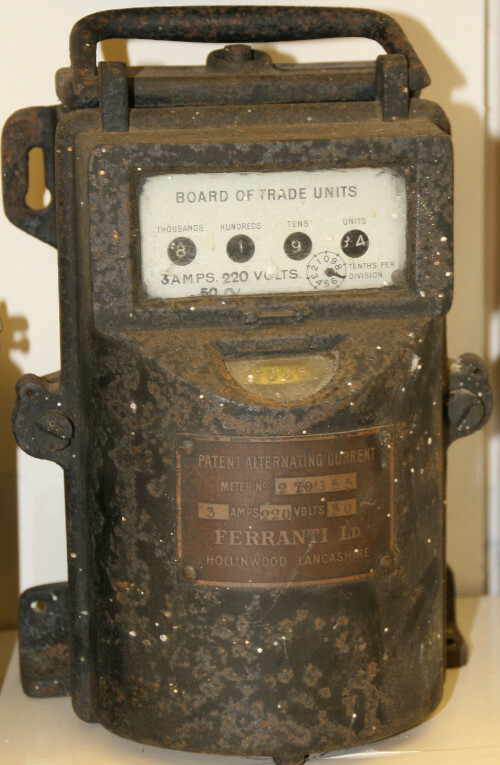 In the era before high-capacity batteries, mains wired appliances would be the norm. But wiring needs fuses and switches, plus meters to measure the energy consumed. These are just some of the items in our museum. SWEHS000353.jpg – Date c1920’s – Manufacturer unknown. 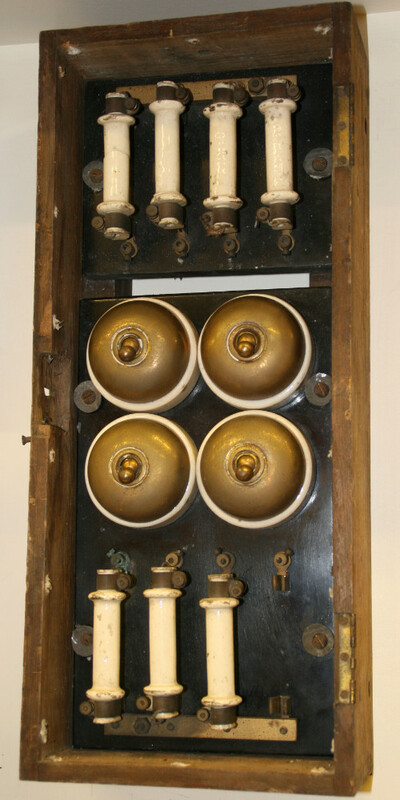 A switchboard with brass switches and rewireable fuses. SWEHS000239.jpg – Date c1920/30 – Manufacturer unknown Type Y2053. This is a cutout, which would contain the large main fuse where the service cable came into the premises. SWEHS000266.jpg – Date c1910/20’s – Ferranti Limited, Hollinwood, Lancashire. This energy meter is marked in Board of Trade Units, rather than kilowatt hours. SWEHS000215.jpg – Date c1920’s – Reason Mfg. 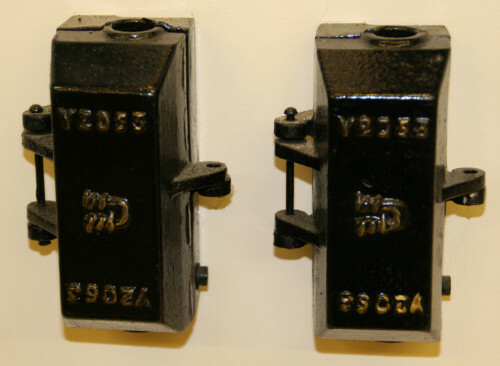 Co. Ltd., Brighton Wrights patent demand indicator (thermal type). See leaflet 1925 A1 for further details. This meter measures the maximum amount of energy taken by a large installation.